Though PS3 claims to support MP4 files, sometimes have trouble in transferring MP4 to PS3 and play MP4 on PS3. Why? How to successfully get all kinds of MP4 to play on PlayStation 3? Read the following paragraph. If you have collected lots of MP4 video files, you can transfer them to your PS3 for a greater visual experience. However, you'll probably come to find out that not all of the MP4 files are supported on PS3. The fact is that PS3 has strict requirements of MP4 files. So, if your PS3 can't play MP4 files, you're often told to install a video converter to encode MP4 to PS3 fully-compatible formats. But is there any easily way to get the job done? iFastime Video Converter Ultimate can help you encode several MP4 videos into AVI/MP4 for PS3 effortlessly to solve "PS3 won't play MP4" issue. Furthermore, this powerful program can deal with various common video formats including MTS, MXF, MOV, AVI, WMV, TiVo to iPhone, iPad, Android, Apple TV, iTunes, etc. iDevices supported MP4/MOV/M4V for playing anywhere you like. 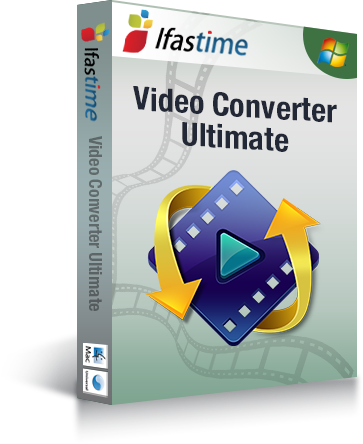 If you are a Mac user, the equivalent iFastime Video Converter Ultimate for Mac will be your ideal app. Now download the software on computer and follow the guide below to start MP4 to PS3 encoding. 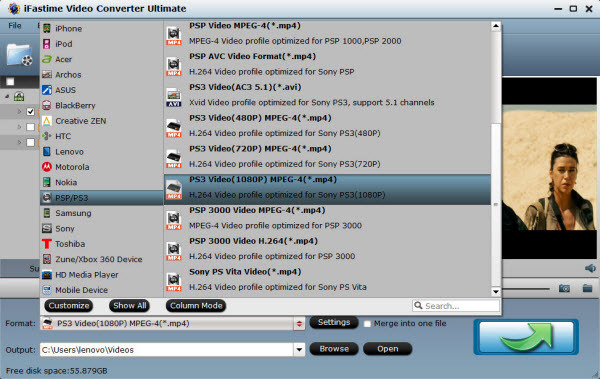 Launch the best MP4 to PS3 Converter. Click the button "Add video" to add MP4 files. If it is necessary, you can double click the each file to have a preview. Tip: If you wanna merge several MP4 files into single one for PS3, just check the "Merge into one file" box. Step 2: Select an output format for PS3 and set the output folder as you need. Click on the dropdown menu of "Format" and then move your pointer to "PSP/PS3". From the sublist, the "PS3 Video(AC3 5.1)(*.avi)", "PS3 Video(480P) MPEG-4(*.mp4)", "PS3 Video(720P) MPEG-4(*.mp4)", "PS3 Video(1080P) MPEG-4(*.mp4)" are all the friendly formats for you to stream MP4 movie to PS3 for playback. Click the "Settings" icon and you will go into a new interface named "Profile Settings". You can adjust codec, bit rate, frame rate, sample rate and audio channel in the interface freely and optimize the output file quality. Note: You can set the video size as 1920*1080 to get the full HD video quality for playback on PS3. Step 4: Start encoding your MP4 movie for PS3. 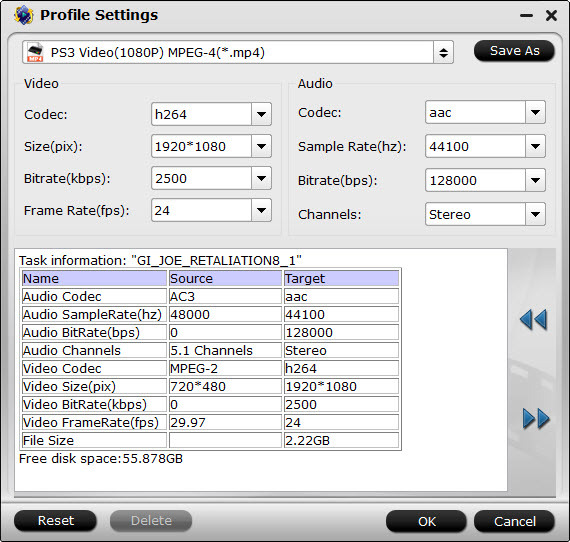 Click the "Start conversion" button at the bottom right corner; it will encode MP4 to PS3 immediately with the CUDA acceleration technology support. You can find the process in the "Conversion" interface. After the MP4 to PS3 encoding, you will be able to get the output files for PS3 via clicking on "Open" button effortlessly. Afterwards, you can stream/transfer MP4 to PS3 via an external USB hard drive or flash drive. 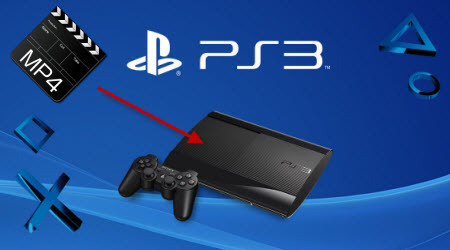 Plug the external USB hard drive into one of the USB ports on the PS3 and navigate to VIDEO on the PS3 XMB menu and find your device. And then hit "Triangle" to view all contents. Finally, copy and paste the converted MP4 file to PS3 hard drive. Or just play it directly from the connected device. Now you can play all your MP4 files on PS3 freely at ease. A++++++++++++++++++ Keep up the excellent work. I am grateful for your advice about the methods used to play mp4 movies on PS3.